A NASA satellite has captured footage of one of the most powerful solar flares ever recorded erupting from the surface of the Sun. The high-energy flare was seen by the Hinode Telescope on September 10 and was so powerful that it overwhelmed the satellite’s sensor, the first time such a strong phenomenon has occurred since 2003. 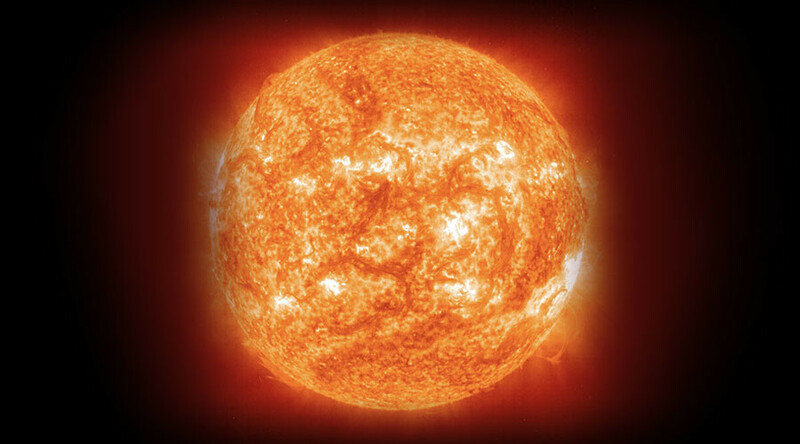 The classification system for solar flares runs from ‘B’, ‘C’, ‘M’ and ‘X’ – ‘B’ being the weakest. Like the Richter scale for earthquakes, each letter represents a 10-fold increase in energy. As ‘X’ is the strongest class, it can reach strengths higher than 10. The X-class flares occur when the Sun’s magnetic fields cross each other and reconnect, causing flared loops about 10 times the size of the Earth to burst from the surface. When a solar flare hits the Earth, the mostly harmless ejections send electron and ion filled particle clouds into our atmosphere. They usually reach the Earth within a day or two of being ejected and react with nitrogen and oxygen to create fluorescent light shows in the sky known as auroras. The most powerful flare ever recorded was in 2003, when the flare overloaded sensors measuring its strength. The event was classed as an X-17, but it is estimated that it may have been closer to X-45. Stronger solar flares have potential to be much more disruptive, however. The most powerful flare to hit the Earth was recorded in 1859. Known as the ‘Carrington Event’, the phenomenon knocked out telegraph systems all over Europe and North America. The resulting auroras were said to have been so bright that they could be seen as far south as sub-Saharan Africa. Studying large flares such as the X-class is seen as key to understand why they erupt, and may ultimately lead to a system of predicting when they are about to happen.